Running the KidStuff Resale for over 15 years! Moms of McHenry County is a non-profit organization dedicated to supporting and encouraging our members through every stage of motherhood. Our focus is on empowering the individual and serving our community. The KidStuff Resale is held every spring and fall. It is a one stop shop for consigners and buyers. 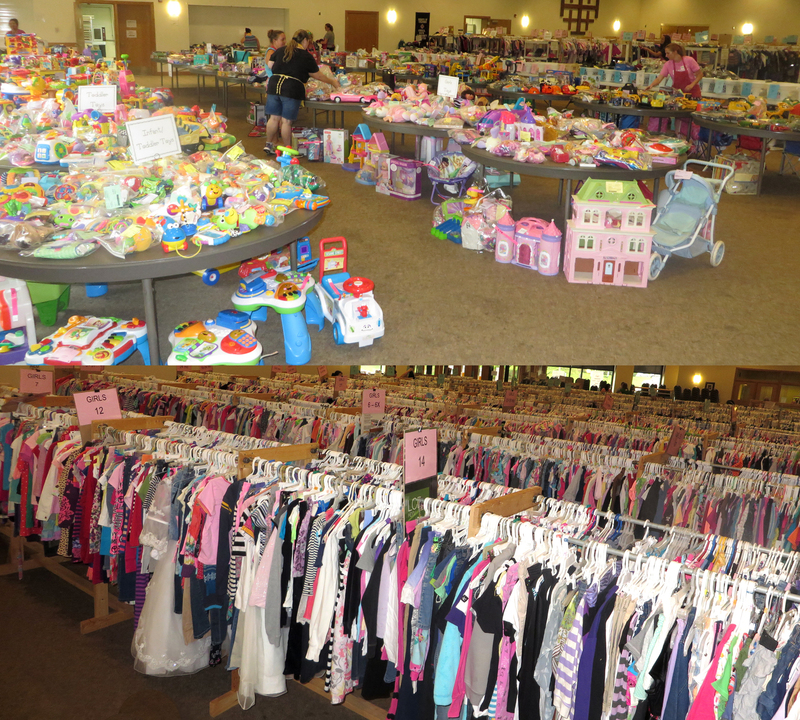 It features thousands of gently used items including children's clothing (newborn to size 16), shoes, maternity clothes, baby gear, and much more! $1 admission - 1 day only! The KSR has thousands of gently used items including children's clothing (newborn to size 16), shoes, costumes, toys, books, movies, games, bicycles, strollers, high chairs, bouncy seats, pack n plays, cloth diapers, maternity clothes, room decor, nursery furniture, breast pumps, and much more! Click HERE to register as a seller or volunteer. Do you want to earn some money selling your stuff? Become a Seller! Seller Registration will be open soon for Spring 2019 KSR. Do you want to shop early? Volunteer!